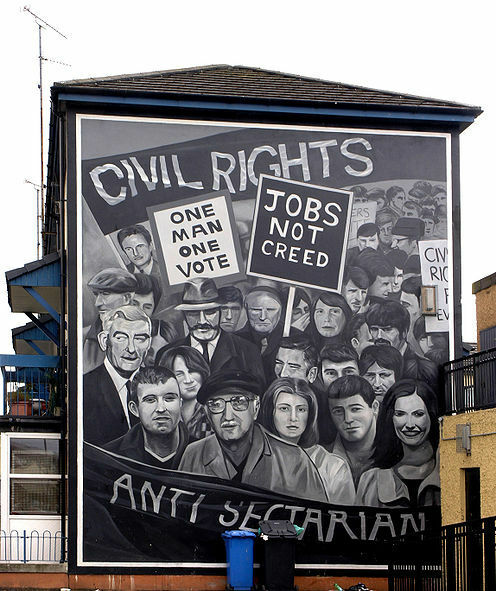 The Derry civil rights marches of the late 1960s and early 1970s sought to redress Catholic grievances regarding discrimination, particularly in the areas of housing, voting, and policing. These issues can be traced to the political and security system established under the tenure of Northern Ireland’s first prime minister, James Craig, in the early 1920s. This attitude would lay the foundation for many forms of discrimination against Catholics. Two of the most concerning were housing allocation discrimination and employment discrimination. Housing was controlled by the local councils, and the local councils were controlled by the Protestants, leaving many Catholics with inadequate or substandard housing. The rate of Catholic unemployment was usually double that of Protestant unemployment. Despite the more conciliatory tone offered by Terence O'Neill, elected prime minister of Northern Ireland in 1963, Catholics experienced little meaningful progress. 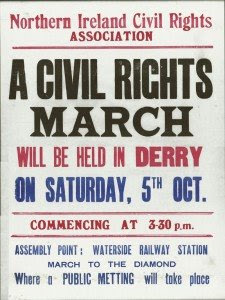 One goal of the civil rights movement was to attract the attention of the press and publicise the cause of civil rights in Northern Ireland. The first incident which sparked media interest and received attention worldwide was to be over housing allocation discrimination. In the village of Caledon in County Tyrone, housing was controlled by the local Council, just as it was everywhere else in Northern Ireland. While this particular council was well-known for discrimination against Catholics, it was soon to be famous for its policies. In 1968, a Unionist Councillor allocated a house to a nineteen-year-old Protestant girl, passing over two Catholic families. The Protestant girl was secretary to the Councillor's solicitor; the Catholic families had been waiting for a house for two years. It seemed to be a clear-cut case of religion taking precedence over housing need. They succeeded in riling the authorities: William Craig, the Minister for Home Affairs, banned the march. This onliy increased the number of people attending. Then the RUC spectacularly overreacted, with two Labour MPs and a Dublin cameraman as a witness for the world. The RUC employed water cannons and batons on the peaceful march. Hospitols reported treating seventy-two wounded, among them prominent figure Gerry Fitt. "A sergeant grabbed me and pulled my coat down over my shoulders to prevent me raising my arms. Two other policemen held me as I was batoned on the head. I could feel blood coursing down my neck and onto my shirt. As I fell to my knees I was roughly grabbed and thown into a police van. At the police station I was shown into a room with a filthy wash basin and told to clean up but I was not interested in that. I wanted the outside world to see the blood still strongly flowing down my face." Although O'Neill as Prime Minister was willing to make concessions, other members of his government were quite unapologetic. "I thought the way the police acted on the day was fair enough. I would have intensified it. I wouldn't have given two hoots for the Labour MPs present, or the TV pictures." Video footage of the 5 October civil rights march can be found here. Part of a documentary which includes interviews with participants of the march as well as video footage of the march can be found here. The fallout from the 5 Ocober march was indeed widespread and intense. It attracted a worldwide audience and brought international attention to the struggle in Northern Ireland. It generated widespread anger in the Catholic community in Northern Ireland. As a result, the civil rights movement gained public support and activists that were content to remain silent before the events on 5 October. A civil rights group called the People's Democrary (PD) was frustrated by the slowness with which the O'Neill government was addressing civil rights issues. They organized a march from Belfast to Londonderry, even though the proposed route was to take the march through heavily Loyalist areas. By 1970, the civil rights movement had lost a great deal of its initial momentum. Part of this was due to a phenomenon known as Burnout The Psychology of Peace describes burnout as a condition that happens when "people get very involved and get overwhelmed; too much is asked of them and too little is given to them. 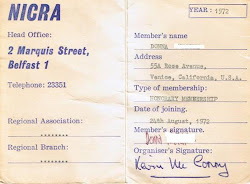 "27 At this point the civil rights movement had encountered stiff resistance from the RUC and the British authorities. While the movement had received good press, little had been gained in actual concessions. People who had been hopeful and eager to participate in marches were losing heart. The lack of reaction from the government was discouraging more and more supporters. The Burnout phenomenon was cemented by something psychologists call Operant Conditioning. Operant conditioning is the idea that people will repeat an action that is rewarded, but will stop doing something that is punished. 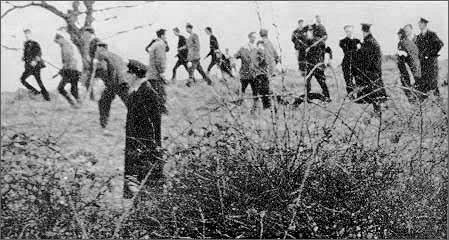 The civil rights marchers were not receiving any rewards in the form of concessions from the government, and they were also being punished at times by the RUC and British Army. These factors combined to lessen the enthusiasm for the civil rights movement. Although the civil rights movement had lost its original momentum, the biggest tragedy of the civil rights movement had yet to occur. 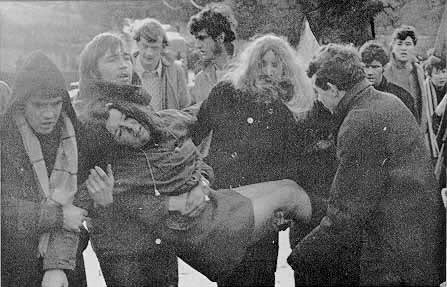 January 30, 1972 became known as "Bloody Sunday" because of the extensive losses suffered by the marchers. Patrick Doherty was shot while trying to crawl to safety. Kevin McElhinney was also shot while trying to crawl to safety. 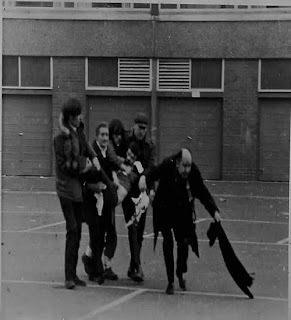 Barney MacGuigan was waving a white handerchief as he left safety to aid Patrick Doherty when he was shot. William Nash was also shot while attempting to aid someone. James Wray was shot and wounded, and then shot dead at close range while attempting to get to safety. Gerald McKinney was shot with both his arms in the air, calling "Don't shoot! Don't shoot!" The Song Go on Home, British Soldiers reflects the anger of the Catholic communities after Bloody Sunday.